A man murdered his estranged wife after becoming "enraged" when she changed her marital status on Facebook to "single". 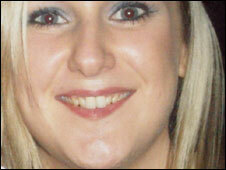 Edward Richardson, 41, of Mayfield Road, Biddulph, was found guilty of stabbing Sarah Richardson to death. He killed the 26-year-old hairdresser at her parents' home in Brown Lees, Staffordshire, on 12 May, 2008, Stafford Crown Court heard. 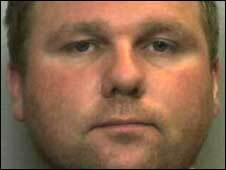 Richardson tried to kill himself after the attack and was sentenced to life with a minimum of 17 years in prison. Fiona Cortese, of the Crown Prosecution Service, said: "Richardson became enraged when Sarah changed her marital status on Facebook to single and decided to go and see her as she was not responding to his messages. "He gained entry by breaking the front door window and made his way into the property. "Once inside he found Sarah in her bedroom and subjected her to a frenzied and brutal attack with a knife and then attempted to take his own life. "We hope that today's guilty verdict will go some way to easing the pain of Sarah's family and friends after losing her in such a violent and abrupt way." In a statement, Mrs Richardson's parents, Beryl and Alan Boote, said: "There simply aren't the words to describe how Sarah's death, and the awful way in which she died, has affected us. We all miss her so much. "Sarah was the loveliest daughter anyone could wish for. She was honest, loyal and sweet, and everyone loved her."